There are four different types of robots in the game including the cyborg, tank, flybot and motorcycle. All of these robots are identical from the waist up, these classification differences refer to the area below the waist and consequently, their primary mode of transportation. The game is essentially just baseball with robots with a few minor differences. First when there is an argument about whether a batter is safe or out, the two athletes in question have a duel for that base. If the batter wins, he is safe, however if the fielder wins, the batter is out. During gameplay as the player's team becomes more successful they have the option of upgrading their robots so that they wield weapons. These weapons range from swords to guns. Often the result of these duels is the permanent loss of a player and because of this an alternative win condition exists. 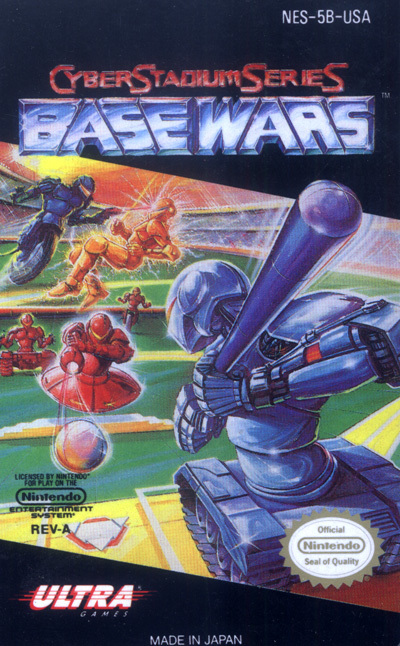 In addition to winning for having the most runs after nine innings a player can win by destroying three robots on the opponent's team. A robot can also be destroyed if it receives too many contact balls.